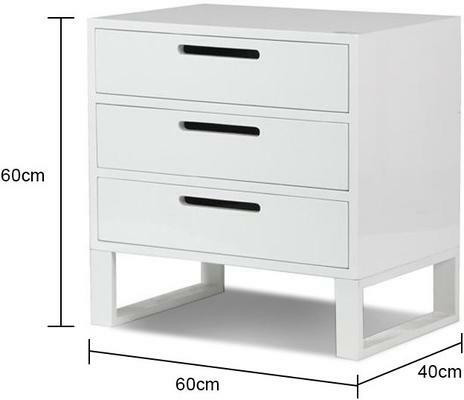 This handmade White High Gloss Three Drawer Bedside makes for a functional and stylish addition to any home or office. 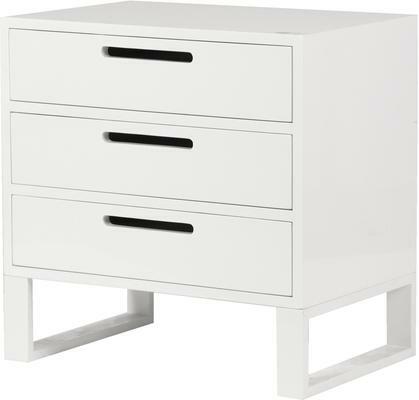 Perfect for keeping your items organised, the bedside includes a smooth top surface with three wide drawers running down the centre. Each drawer has modern cut out handles for easy access. Extended rectangular feet provides a sturdy base while the all-white finish makes it easy to pair with existing home decor and furnishings. Use this as a bedside table or as a mini desk in your office or craft area. It's a versatile, no-fuss, modern piece that you'll instantly find useful in your home.